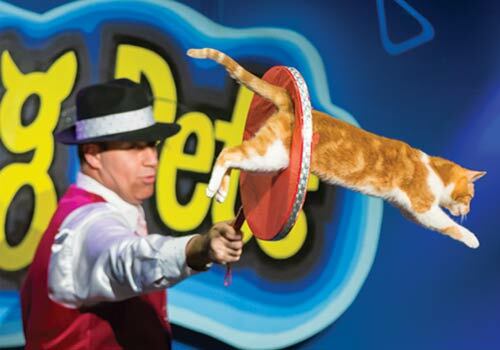 Featuring exciting acts and tricks from a variety of animals, including dogs, cats, exotic birds and more—many rescued from dog pounds and humane societies—Grand Country Music Hall’s Amazing Pets Show offers a magical show the whole family can enjoy. 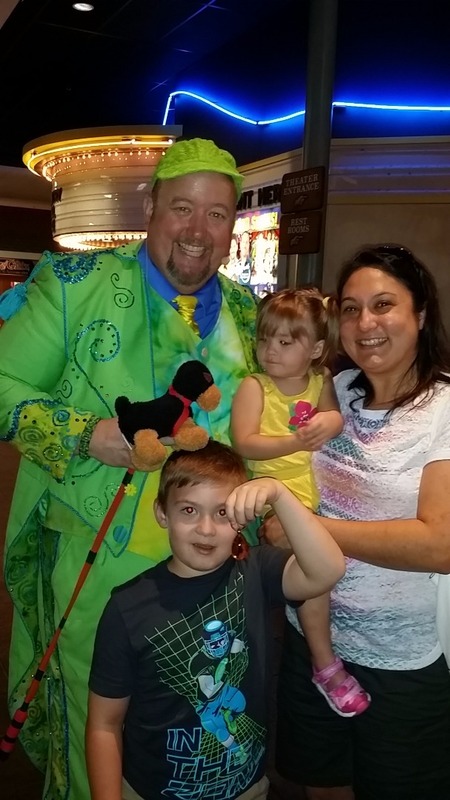 Performed daily at 10 a.m., this upbeat two-hour show offers lighthearted fun and fast-paced entertainment. Many performing pets are rescue animals. Features birds, cats and dogs. 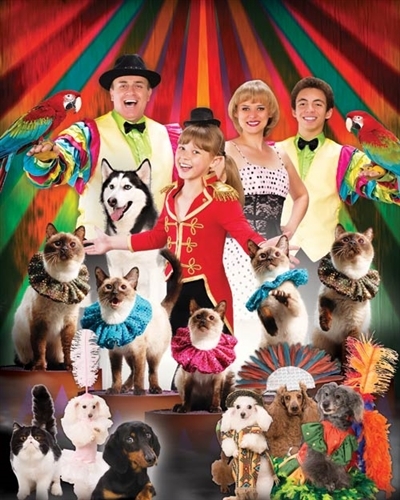 This show stars an amazing troupe of furry creatures who will win your hearts as they perform for your love and laughter. Many have been rescued from dog pounds and humane societies across the country. In addition to dogs and cats doing what they like to do, you’ll see beautiful exotic birds and many other magical surprises that will put a smile on your face. 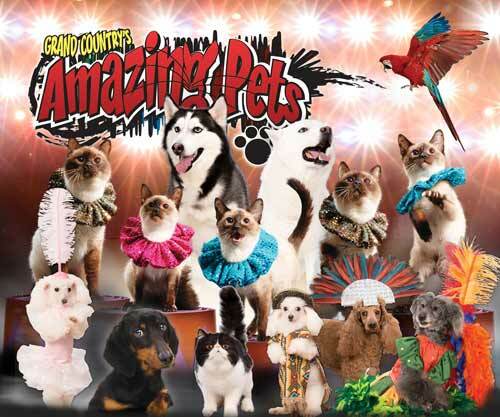 Don’t miss the Amazing Pets, only at Grand Country Music Hall. 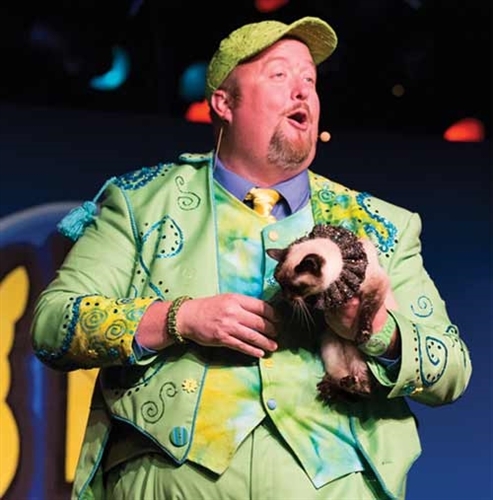 Amazing Pets is performed daily at 10:00 a.m., only at Grand Country Music Hall. What is the size of the Grand Country Music Hall, home to Grand Country’s Amazing Pets? What is the length of the intermission at Grand Country’s Amazing Pets? Approximately how long is Grand Country’s Amazing Pets show? Yes. There is a pre-show at Grand Country’s Amazing Pets that begins about 20 minutes prior to show time. Yes. 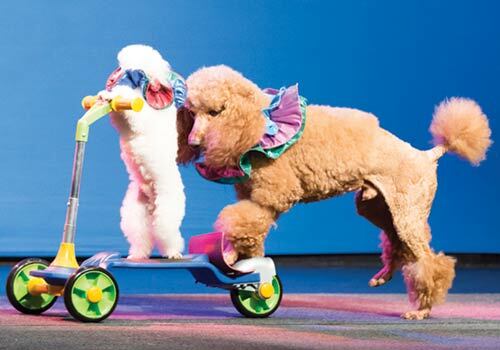 Visitors can meet and greet the performers of Grand Country’s Amazing Pets at intermission & after the show. Are cameras, audio or video recording allowed at the Grand Country’s Amazing Pets show?